Mignonette, named after the famous oyster sauce, this raw bar and seafood eatery is full of creative surprises. A genuinely good place to eat fresh fish in Miami. A cool combination of a diner and a European café, this charming, yet understated, restaurant caught my eye as I drove down quiet and mostly deserted 2nd avenue. 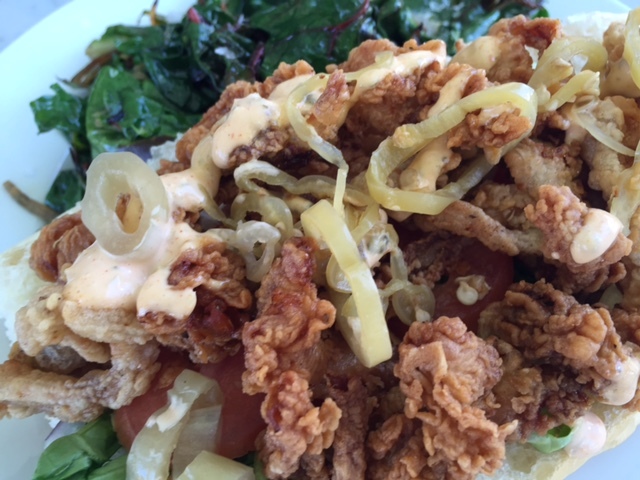 I loved the sound of it – Mignonette, and I’m always in the mood for seafood so I stopped in to give it a try. As I took a look at the menu, I wondered why would they offer croissants as an appetizer? Well, because they’re homemade and served warm with a chunky lobster butter and a scrumptious serving of mango jam for $ 8. 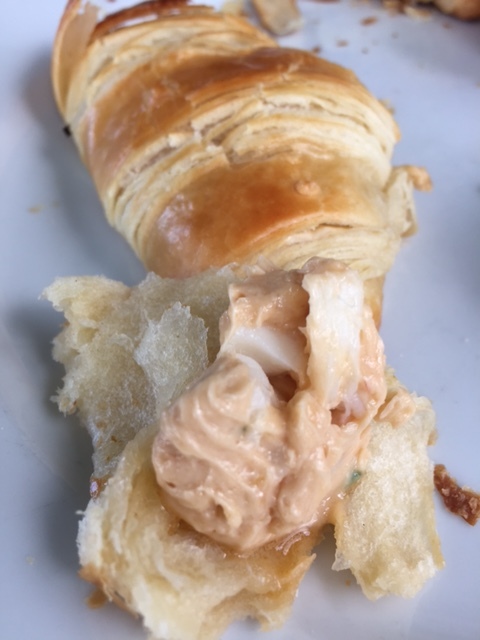 These are real buttery and flaky croissants that melt in your mouth with nothing on them, imagine adding bits of lobster? Delicious! I could’ve had ten of them but I wanted to save room for some other interesting items on the menu. There was a long list of fish choices like red fish, grouper, snapper as well as shrimp, scallops, oysters and clams. They’re sandwich selection includes the traditional Louisiana Po Boy made with chicken, conch or shrimp, as well as other old time favorites like the lobster roll. A nice assortment of salads and veggies make for great sides . Chowing down the croissant got me in the mood for more lobster, and nothing could satisfy my craving as much as their soup of the day – lobster bisque served with a garnish of Spain’s famous Pata Negra ham which added a light touch of saltiness to this silky bowl of seafood goodness. 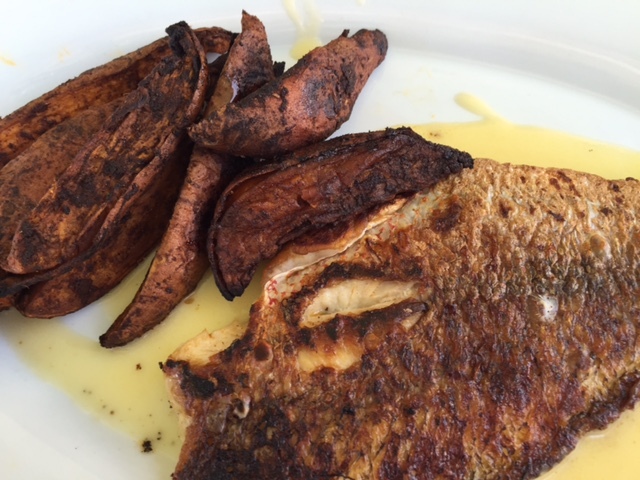 I then ordered some fantastic crispy skin snapper served with sweet potato fries seasoned with ancho chile for $23, a rather large fillet crispy on the outside and tender and flaky on the inside. I also tried the fried clam Po’ Boy on a Portuguese roll that came with a nice portion of sautéed rainbow chard, a healthy and delicious side. The clams were juicy and tender, just like the ones I use to have back in Rhode Island. 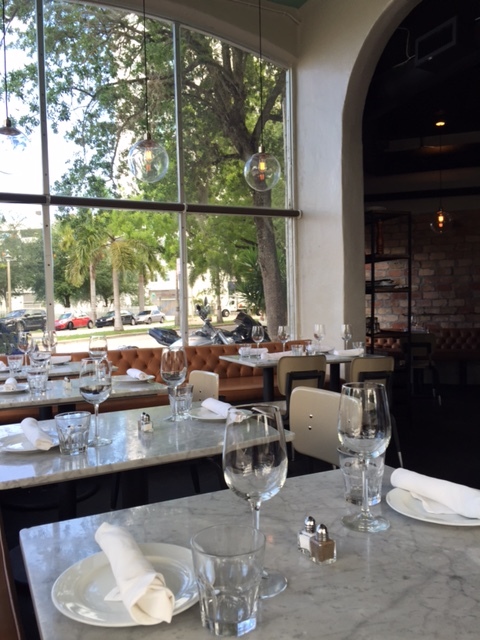 So glad to find another great place for seafood in Miami! You’d think we’d have plenty, but not really.